south carolina shelter | YesBiscuit! Millie (Beanie) is doing well! 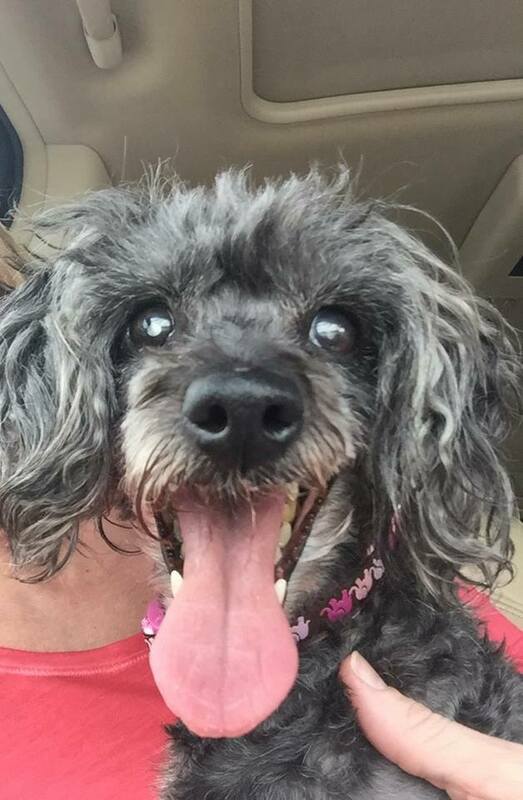 Other than being really arthritic and having a heart murmur and being blind and super old, she is a sweet sweet girl :-) Millie is very affectionate and loves to be held. Our biggest immediate need for her is a HOME ; whether it be a foster or an adopter. She is currently still in Greenville SC but we can easily bring her up North if need be. So if you know anyone who might be interested please have them contact me ASAP. Thank you irresponsible public, once again. When I’ve posted in past about Paws to the Rescue (PTTR), the group contracted to run the Marion Co pound in SC, it’s been like ringing the troll dinner bell, an hour late. The reason I’ve posted about them in past is because the group appeared to have serious transparency issues, which is always a red flag for me, as well as some dubious policies in place. And the group’s defenders talked attacked in circular gibberish while leaving so much virtual spittle. So much. As of 11 a.m. Thursday, Marion County took over the operation of the Marion County Animal Shelter and terminated its partnership with Paws to the Rescue to run the shelter, according to Tim Harper, the Marion County Administrator. The shelter will be closed to the public until Jan. 20 while the county inventories supplies and equipment, and conducts an evaluation of the animals and records, Harper said. An attorney for PTTR issued a statement calling the county’s actions “illegal” and “reckless” and stating the the lives of the animals in the shelter are now at risk. PTTR receives an operational stipend of $53,000 per year from Marion County. This is certainly not all the money we receive, and I never intended to imply that it was. We are also very grateful for our private donors, corporate donors,monies raised from adoption fees, and in-kind donations of food and supplies. The County of Marion provides Paws to the Rescue (PTTR), the 501(c)(3) organization that manages the shelter, $53,000 per year to run the shelter. The shelter took in approximately 3,000 dogs in 2011. That breaks down to $18 per dog – not $18 per dog per day – $18 per dog PERIOD. Although this is just one of the many concerns raised by donors and animal lovers regarding PTTR, it gives you an idea of the kind of trouble that’s been brewing. And it underscores the importance of a publicly available audit, beyond the normal financial transparency standards to which all shelters should adhere. To be clear, the county taking over pound operations is likely not an improvement, although possibly for different reasons. 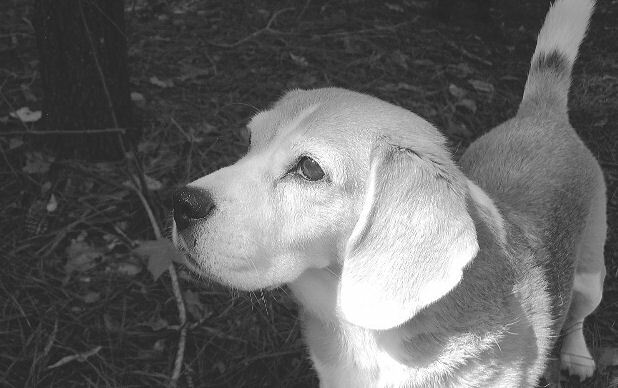 The pound made national news in 2008 due to a state senator receiving special treatment when adopting a dog then abandoning her after he’d allowed her to become pregnant while roaming loose. 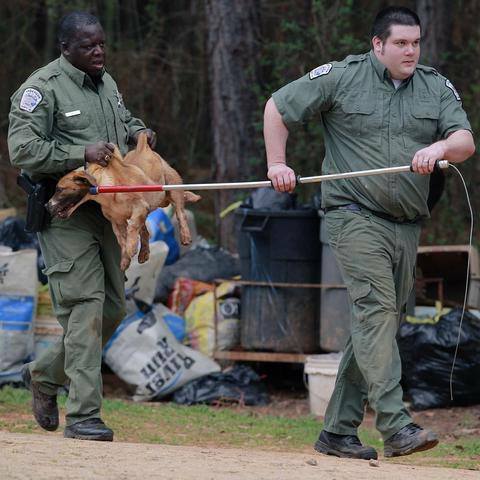 The poor conditions at the pound were on display and the county sought a private group to take over operations. Enter PTTR and the ensuing years of controversy. 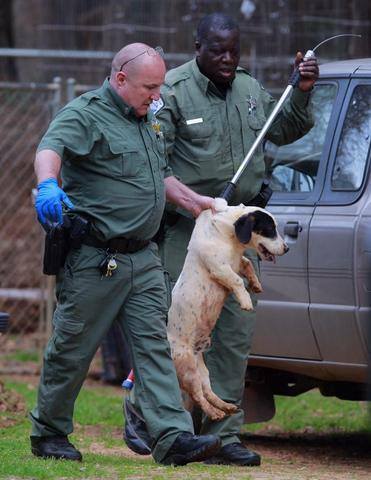 I wonder fear what’s next for the lost and homeless animals of Marion Co.
Mocha, as shown on the WBTV website. “To listen to a story of a man that I don’t know tell me that he picked my dog up and he pet my dog and my dog was moving her head and was responsive. And then to be told that she was squashed like a grape. I find it hard to believe that there could be that big of an inconsistency in stories,” Cunningham said. 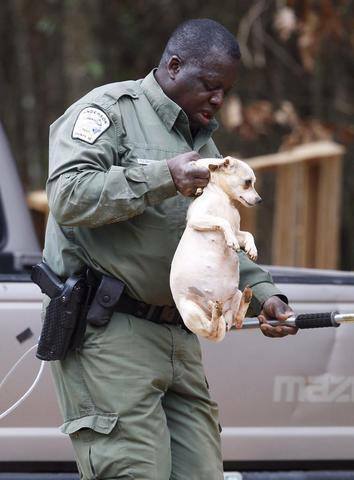 Even if we were to set aside the differing stories and the failure of the pound to tell the owner what they had done with his dog the first several times he called, Mr. Cunningham says Mocha was wearing a collar with identification and was microchipped. So why didn’t York Co AC contact him? On top of all this, Mr. Cunningham requested Mocha’s remains and was given a cardboard box filled with ashes of all the dogs the pound had killed and cremated at the same time they did Mocha. Had the county done its job and contacted the owner off the ID tag or the microchip when she was brought in, the owner could have taken Mocha for veterinary treatment. 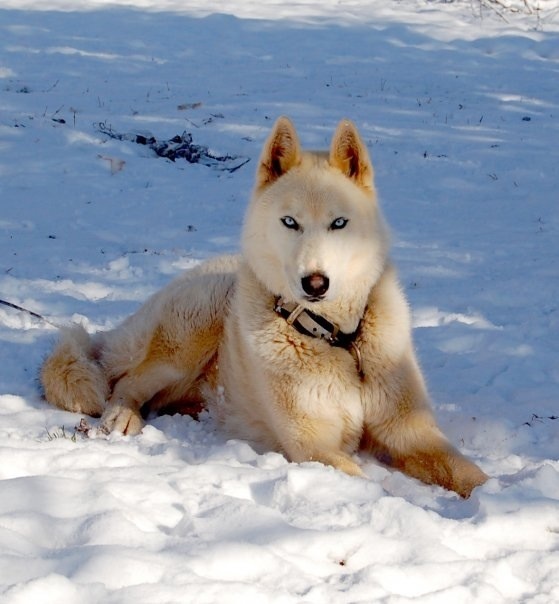 Had the county at least contacted the owner immediately after killing Mocha, the owner could have gotten the dog’s remains back and seen the extent of the injuries himself or had a necropsy performed by a vet. Failing both of these, had the county admitted to Mr. Cunningham they had killed Mocha when he first called, it’s still possible he could have obtained his pet’s remains. Now I’m wondering about the other ashes in that cardboard box. Were any of those pets owned and loved, wearing ID and microchipped when York Co killed them? Are their owners still searching for them? How long has this been going on in York Co? York Co says it will investigate itself in the matter. The owner says he plans to sue. I hope he does. There is no excuse. Sylvester, as depicted on the WIS-TV website. The Giddings family decided to adopt Sylvester but the Lee Co pound director, Doris Winstead, said he had to be neutered first. After the surgery, Sylvester stopped eating and using the litter box and was very lethargic. Ms. Giddings contacted Doris Winstead to ask for details about the surgery. She says Ms. Winstead advised that Sylvester had been taken to a local vet, Dr. Ken Currie, and a tumor had been found and removed during the neuter. Ms. Giddings called Dr. Currie’s office to let them know she was bringing Sylvester in right away for a post-op check as he appeared to be very sick. Dr. Currie said he’d never seen Sylvester before, let alone performed neuter or tumor removal surgery on the cat. Dr. Currie did examine Sylvester and was unable to definitively determine whether the cat had been neutered as the swelling was so great. Sylvester had a gaping wound which was infected and still bleeding. Ms. Giddings says she asked Ms. Winstead again who did the surgery on Sylvester but she refused to say. Ms. Giddings filed a report with the police and the SC Law Enforcement Division (SLED) is investigating. Ms. Winstead has been suspended from the Lee Co pound. Media outlets have been unable to reach her for comment. I hope SLED not only looks at Sylvester’s case but every other animal who has been “neutered” and/or shipped up north by the Lee Co pound under Ms. Winstead’s direction. If crimes have been committed, I hope the issue isn’t swept under the rug as we so often see in cases involving “just animals” and the “good people who do a hard job” who abuse them at so-called shelters. Twelve year old Luke has been crying over his beloved cat who was needlessly butchered. I wonder if he’ll ever volunteer at a pound again or adopt another shelter pet. I hope Sylvester is able to fully recover in the care of his family and that no more pets will meet this same fate in Lee Co. I hate to think of the ones who went before. 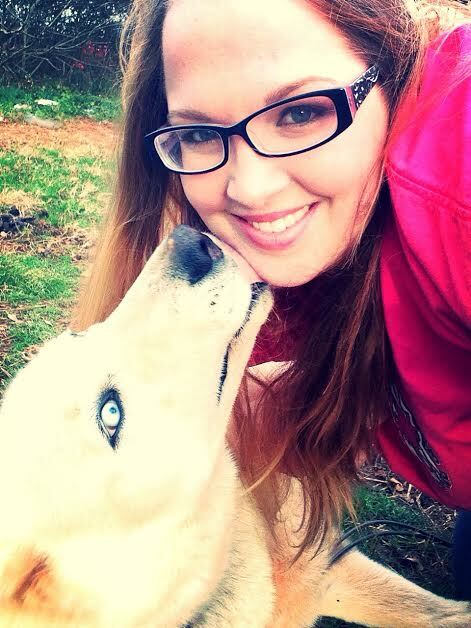 Kalel was a five year old Siberian Husky whom owner Mandi Nalley describes as “my heart, my son”. 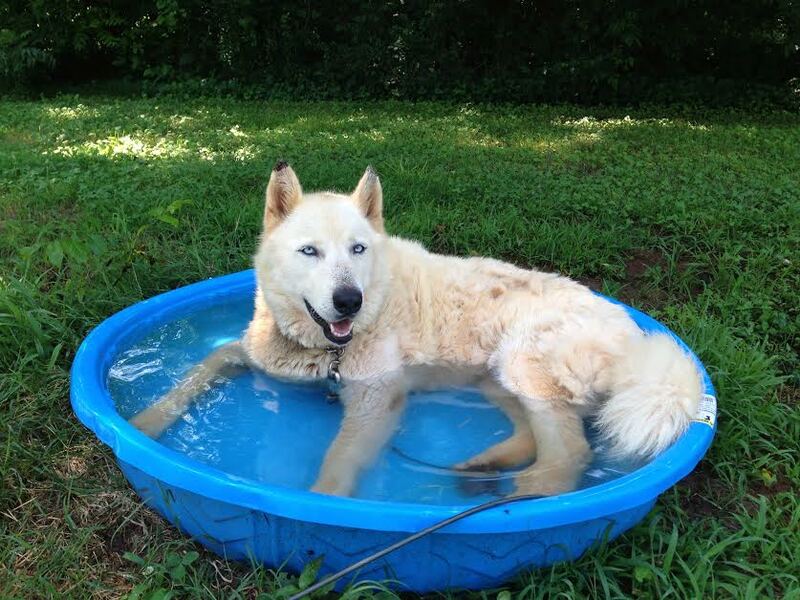 Kalel was temporarily living with a trainer in the Greenville Co, SC area in July 2014 when he became lost. On July 30, the trainer notified Ms. Nalley that Kalel was missing. She immediately filled out a lost pet report on the Greenville Co pound’s website and included photos. The next morning, she received an e-mail from someone affiliated with the pound that Kalel had been impounded on July 24 and instructing her to bring in proof of ownership, a leash and $85 in order to reclaim him. Ms. Nalley went to the pound but did not see Kalel. She asked an employee at the desk to look up the dog’s ID number. 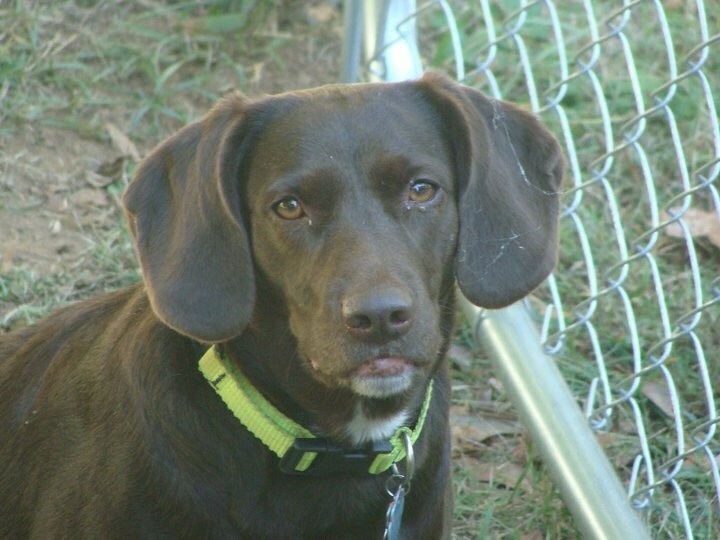 The employee advised her Kalel had been killed 2 days ago due to heartworms and a leg injury. Ms. Nalley burst into tears and was unable to compose herself for further conversation so she left. She asked a friend to go in and retrieve Kalel’s body. Upon arrival, the friend says she was told Kalel was alive. Then the director came out and explained that not only was the dog not alive, his body had already been sent to the landfill. And that he’d been killed for aggression. Greenville Co pound records obtained via FOIA request indicate Kalel was impounded on July 24 and killed on July 29 for “heartworm positive/aggression/space”. The behavioral section of his profile is blank. There are no records indicating his temperament was ever evaluated. There is one handwritten note on his records that reads: “Have to be muzzled to touch mouth or do medical. Otherwise he’s good.” The supposedly injured leg was x-rayed and found to be sound, aside from some inflammation which was treated with medication. Because too many so-called shelters were ignoring the state law regarding the mandatory holding period for strays, the attorney general’s office for the state of SC issued a clarification for all municipal facilities accepting stray animals. In the November 2013 release, the AG’s office clearly states that stray animals must be held for five days. In calculating the five days, the day of impound must be excluded, as must weekends and holidays. Kalel was impounded on Thursday, July 24. Day One of his five day hold was July 25. Day Two was Monday, July 28. On Day Three of his five day hold, Greenville Co killed him. When his owner came to reclaim him on July 31, he was still within his five day holding period. Greenville Co appears to have violated state law by killing Kalel before his mandated holding period expired. The letter from the state AG’s office seems perfectly clear. And yet public shelters such as Greenville Co continue to kill at will, disregarding the law and tearing families apart in the most violent and permanent way possible. What will it take to get Greenville Co and other kill-because-we-can pounds to comply with the law? A lost dog who needs to be muzzled to be examined in a pet killing facility but “otherwise he’s good” is hardly a threat to public safety. There is no information in the records indicating Kalel bit, tried to bite or even growled at anyone at the pound. Heartworms are a treatable medical condition and in fact, Kalel’s owner was already giving him medication under guidance from her veterinarian. Space is not a justification to kill a shelter animal under any circumstances and when it’s done during the five day holding period in SC, it’s illegal. Shame on the Greenville Co pound for needlessly killing a lost pet whose owner loved and wanted him. There is no excuse. Will there be any justice? In the past week, since I posted about the Greenville Co pound’s horrific policy on kitten killing, readers have been sending me e-mail exchanges they’ve had with the pound’s veterinarian, Teri Worl. Dr. Worl is the person reportedly responsible for the decision to take newborn kittens of certain weights away from their mothers to kill them. I am sharing one exchange here, sent to me by Diana Riglet, director of Foster Paws Rescue. As you can see GCAC doesn’t have to “reinvent the wheel”, but simply model their life saving efforts after a successful shelter. When I see a situation unfolding at the shelter as I write this e-mail I wonder how dedicated to No Kill GCAC actually is. The cat sick hold kennels are full and there are several cats with ringworm. Rescue groups have been advised to pull these cats or they will lose their lives. I don’t understand why the shelter isn’t also reaching out to the cat loving public for help. I posted on the shelter FB pet rescue page, not the shelter, me personally, for foster homes for these cats. I also posted on Foster Paws Rescue FB page. So far this week my group has pulled seven cats and we are trying to secure foster homes to pull more. FYI four of the sick hold cats we thought well enough to go into the adoption center at Pet Smart. Why then were these cats not in the adoption kennels where they could be seen and possibly adopted by the cat loving public? Why doesn’t the shelter have a ring worm ward and a URI ward? 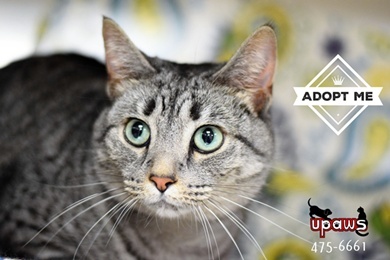 The cat loving public will adopt these cats! The question also begs to asked, if the shelter is vaccinating on intake and has revamped its cleaning and medical protocols why are we still seeing so many cats with URI and ring worm? Finally it seems that some momentum has been lost in terms of moving toward increasing the live save rate at the shelter. I’ve seen your 2013 stats. If accurate, a 50% live cat save rate is unimpressive. If all the programs and services of the No Kill Equation had been implemented with gusto you would have a 90% or better live save rate by now. Many shelters have achieved just such a live save rate within a year or sooner of implementing all the programs/services. It doesn’t take five years! In fact those who say they’ll be No Kill in five years never achieve No Kill. I would love to respond to your concerns regarding the veterinary care of our animals. It would be much easier for me to do that if you would direct your questions to me, a veterinarian, rather than asking someone without veterinary training to comment on veterinary questions. With that said, I will address each of your points. A question I would like answered about the “successful shelters” to which you are referring is how many healthy cats do they have awaiting adoption? While we would love for all of our cats to find loving homes it is very difficult to justify using more resources to rehome sick cats when healthy cats are being euthanized due to space constraints. But more to the point, we do reach out to the public for help rehoming sick animals. In fact, all you have to do is walk around our shelter to see signs pleading for foster homes for sick animals. There are hundreds of animals in our foster care program, most of them there because they are ill. We don’t, however, adopt out sick animals to the general public as that would not only be very irresponsible of us, but sick animals cannot undergo surgery and should not receive vaccinations. Instead, we encourage customers to foster-to-adopt, as many of them plan to adopt the animals when they return to health. The foster-to-adopt program has been very successful; in fact nearly 100 cats have been saved by it in just the last two and a half months that might otherwise have had to be put to sleep. This is in addition to our regular cat adoption efforts. The four cats in sick hold to which you referred were not on the adoption floor because a trained veterinarian had examined them and determined that they were not yet healthy enough to return to the adoption floor. There are many very subtle signs of illness displayed in cats and dogs which typically go unnoticed if not specifically checked for. In addition, if full courses of medications are not completed the animal is at higher risk of relapse. Furthermore, cats continue actively shedding viruses beyond resolution of clinical signs so we take extra precautions in our sick animals. Taking an animal straight out of sick hold and putting them into a stressful environment such as PetSmart is highly unadvisable as it increases viral shedding by 60% and puts other animals at risk. We would love to have specific wards for different illnesses. But we do not even have enough wards to house all of the healthy animals we have here, much less the sick animals. Illness in cats is a multifaceted issue. It takes several days for a vaccine to prime the immune system of an animal. Generally speaking, it is a minimum of 5 days before a vaccinated animal would respond well enough to a vaccine for it to be effective. Depending on age, an animal may require between 1-3 booster vaccines given every 2-4 weeks to be considered immune to the disease against which we vaccinate. This is best case scenario and assumes a healthy animal. Cats and dogs are vaccinated prior to entering the general population, however, since the vaccine will not be effective for several days the cats may still be susceptible to any disease to which they are exposed. Unfortunately, this is the least of our challenges with cat illness. While vaccines are important in preventing illness in cats stress reduction is infinitely more important. About 60-75% of cats coming into the shelter will already be harboring viral diseases. This is the same percentage of cats harboring illness in the community. They are in carrier states. However, they do not shed these viruses consistently and do not show signs of illness until and unless they become stressed. Stress suppresses the immune system and allows secondary bacterial infections to take hold. This is when cats start to show signs of illness. The same is true for ringworm. Many cats will be in a carrier state and never show clinical signs of the disease. But when they become stressed they may start losing hair. Once ringworm spores are shed an entire room can be quickly infected. To give ringworm the opportunity to spread in our shelter by keeping infected cats in adoptable areas would not only be unfair to unaffected cats but, as a zoonotic disease, is also a public health risk to those individuals entering our facility. Should we someday have a ringworm ward, where special precautions can be made when entering/exiting the area to protect healthy cats as well as people visiting, adoption opportunities may then be a conceivable option. We have taken many steps to help reduce stress in our cats. In my last correspondence with you I invited you to come in and discuss the efforts we have made but you did not respond. Animals being euthanized in shelters indicates a problem in the community. In the two emails I have read from you there has been considerable criticism and negativity. Constant badmouthing by rescue groups and other individuals in the community is not only detrimental to the shelter but it directly harms the animals you say you want to help. The animals here get sick because we are overcrowded. Not because we don’t care properly for them. If you want to save the cats then help us get the healthy cats out of here BEFORE they get sick. 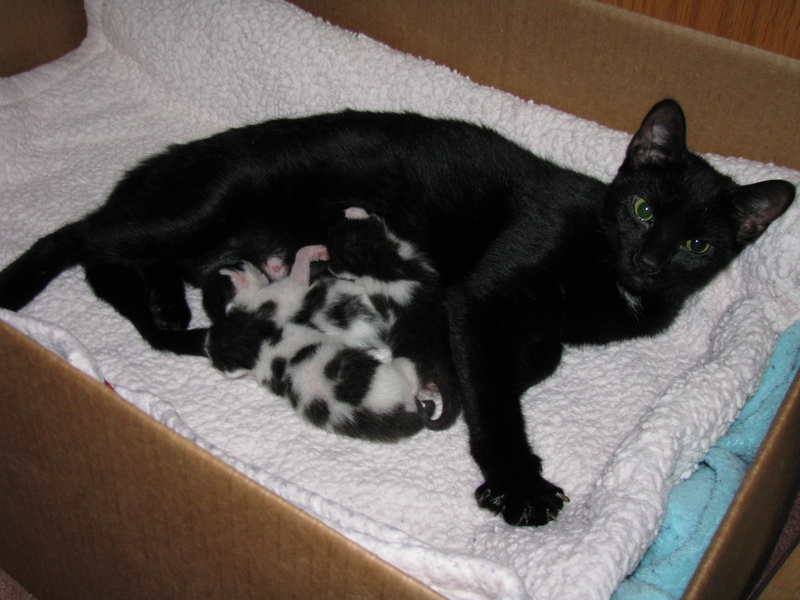 Pull healthy, highly adoptable cats quickly and get them into homes. It is a chain reaction. If you take a healthy cat you will get it rehomed much more quickly and use fewer resources. Once that cat is rehomed then pull another cat and do the same. If you can place two cats in the time that it would take you to get one cat healthy enough to adopt then you have saved double the number of cats. And if you’ve pulled double the number of cats from the shelter then that reduces the number of cats in the wards which, in turn, lowers the level of stress and illness in the cats and fewer cats are at risk of euthanasia due to illness or space constraints. Every person in this shelter is here because they love animals. We have the same goal that you do: to save the lives of these innocent animals! So instead of criticizing us why won’t you get behind us and listen to some of our ideas about how to help? We could certainly use your help. Ms. Riglet states that she replied by e-mail that she would be happy to meet with Dr. Worl. Further, she says she stopped by the pound one day and asked to see Dr. Worl but was told she wasn’t there. Ms. Riglet says she left a greeting card with a note requesting a meeting, plus a bound copy full of material on no kill. She never received a response. I am opening up the floor for your impressions. Does reading this letter from Dr. Worl make you feel better, worse or the same about her policy to take newborn kittens of certain weights from their mothers to kill them? 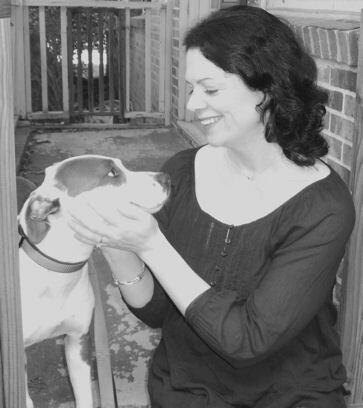 If you are a rescuer, foster, or other shelter pet advocate, how does Dr. Worl’s letter make you feel as far as partnering with her to save lives? Based upon this letter, what do you believe is the likelihood of the Greenville Co pound achieving no kill under Dr. Worl’s leadership? If you were advocating for no kill in Greenville Co, what might be your next steps?